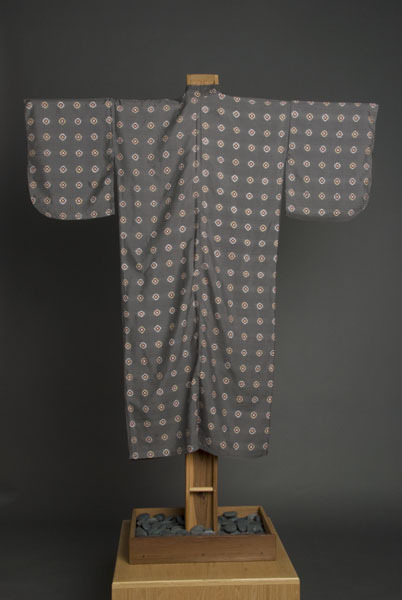 1 kimono : silk ; 49 x 25 (center back) in., sleeves 17.25 x 12.5 in., collar 2 in. 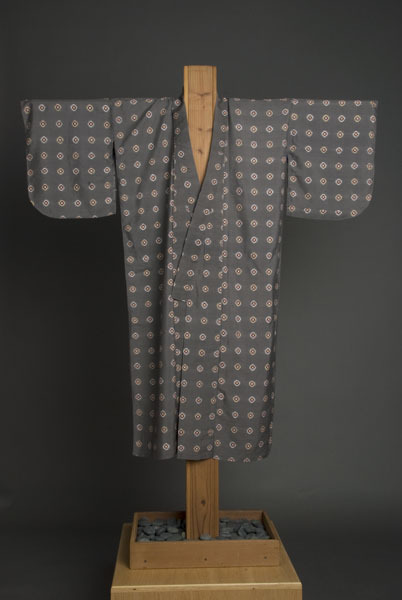 Dark gray silk kimono with maroon bullseye pattern alternating in cream and white. 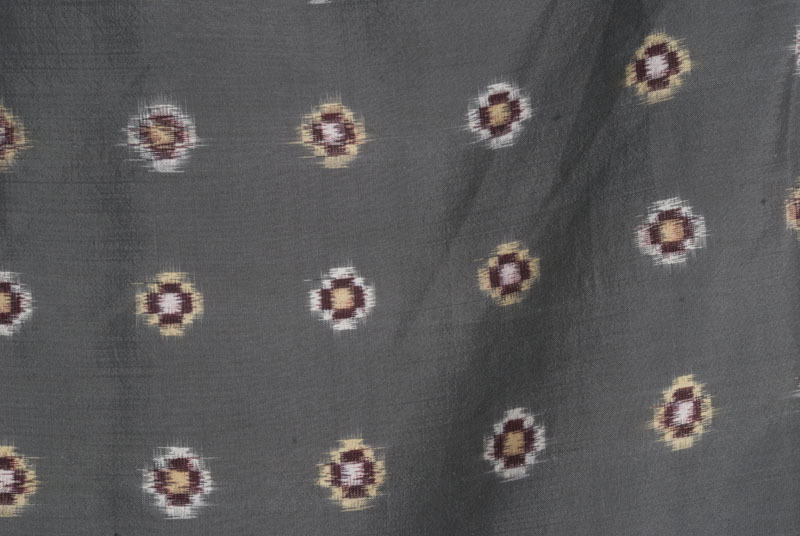 Some circles appear smudged along weave of fabric. 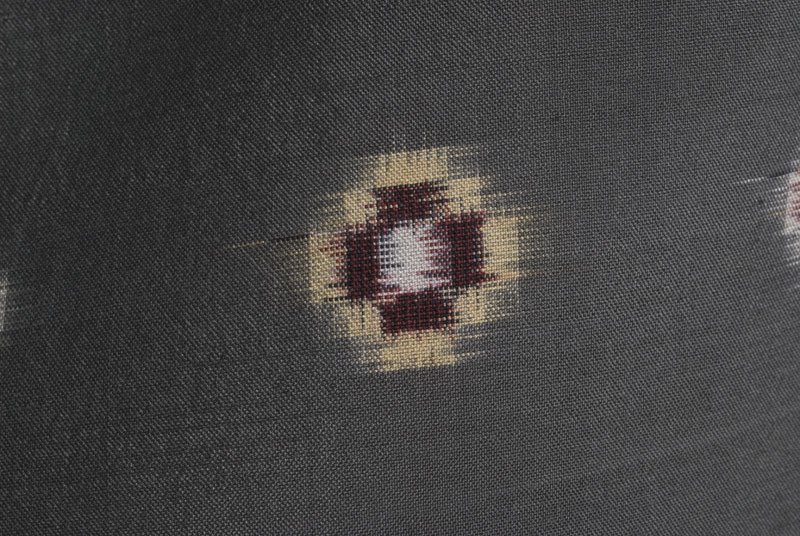 Handstitching in blue thread visible along bottom edge and armhole openings. Sleeves are short with one rounded edge.